Have you guys heard of FabKids? We are a big fan of their clothing - but more importantly, how easy they make putting outfits together for both Liam and Nora, so today I'm excited to show you more styles from FabKids! FabKids is affordable, well-made and personal clothing made just for kids (sizes 2 through 14). All outfits start at $29.95 and shoes $14.95. 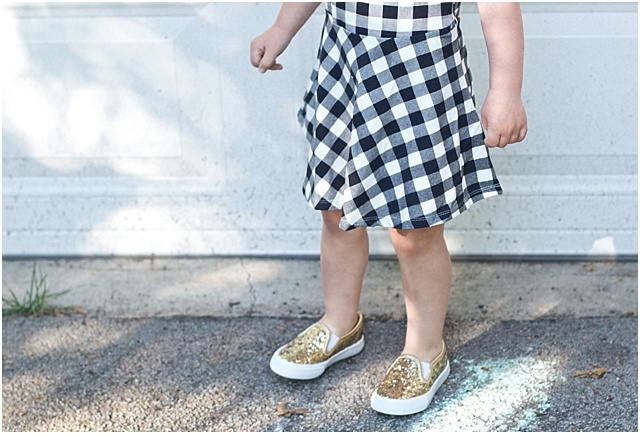 The first thing you do is take a quiz about your little's style - it's quick and visual, and then you will see a collection of outfit ideas chosen just for you based on your answers about your kiddo. I love this - as it instantly makes the time spent shopping quicker. But you can also shop all options, too! For instance, Nora's style is "trendsetter", but I can easily shop the "athleisure" or "boho" styles, or by item type (like shoes, tops, dresses, etc). They have a new collection monthly, and the subscription sends you a monthly outfit that matches your style sense and is complete - ready to wear together, but easy to mix and match with other pieces you already own. It takes the thinking out of it, but still allows you to have fun styling - which is what I love to do! 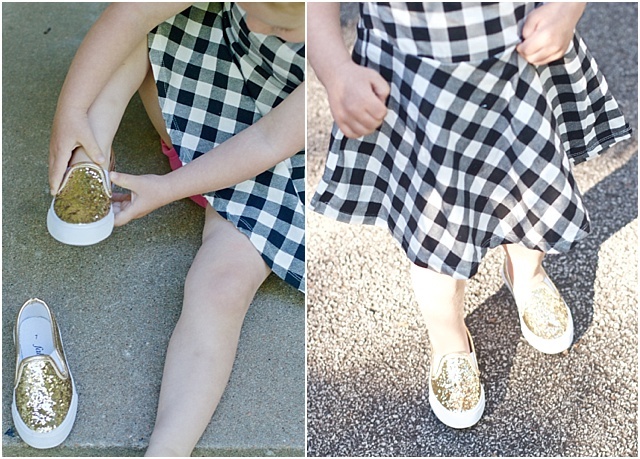 And I'm completely loving this black & white check dress (that also came with black leggings for cooler days) and these slip on gold sparkle sneakers for Nora - a complete match to our style quiz (and style aesthetic!). What's even more fun is that Nora can put these sneakers on alllll by herself!! You can see Liam (cute for boys, too!) & Nora in other FabKids outfits last summer here! Nora is all about control these days - so everything is a choice. We give her two to three options around what she can wear, when she can do something and even things that aren't really a choice (it's all about the illusion). 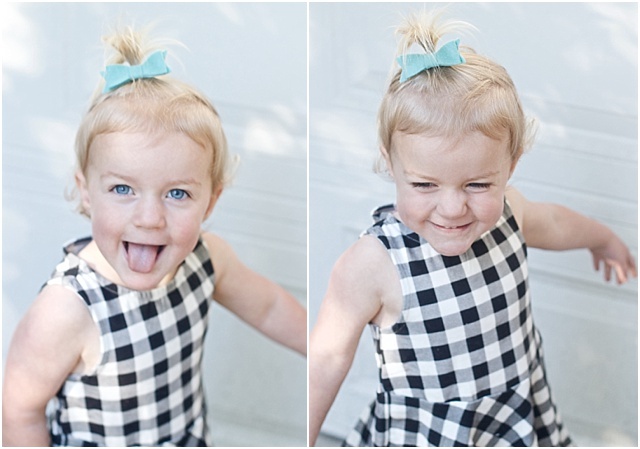 For instance, I asked if she wanted her hair in a top pony or low pony to get her hair off her face, and she chose top. Then she got to pick from the three Little Poppy bows - promptly choosing blue! 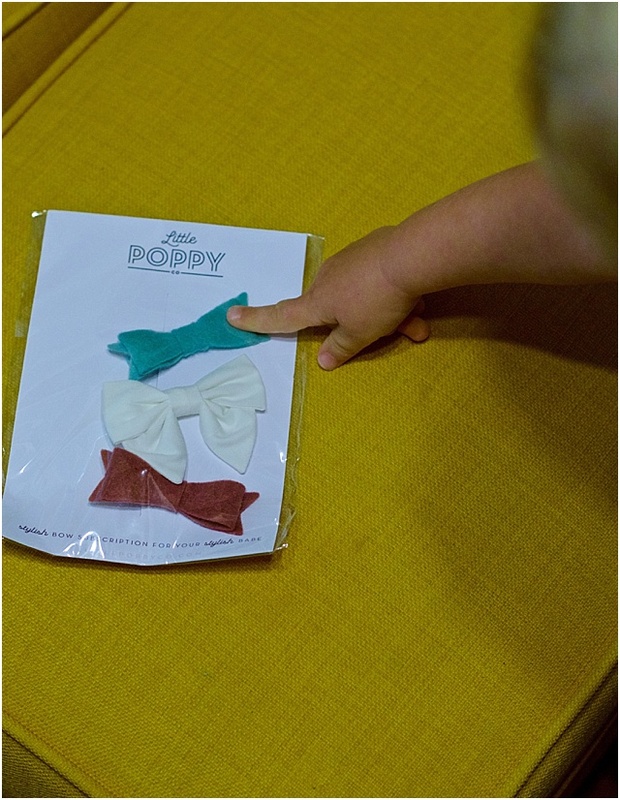 Little Poppy Co is actually is a bow subscription service where you receive bows each month - you can choose from alligator clips (right or left) or headbands, and you can switch it up each month, too! 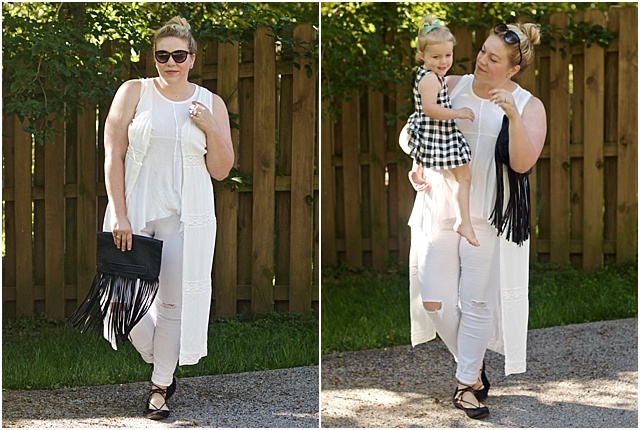 You can see how all 4 of us mamas of the style collective styled our littles in FabKids! 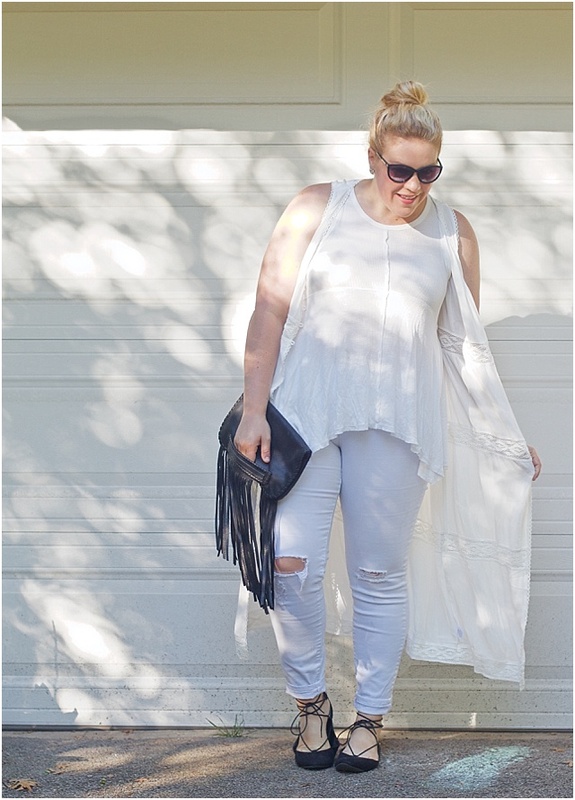 We're also sharing how mamas can wear vests for summer! See this collage image below and then make sure to check out Sandy, Laura and Carly to see more! AND for an even more interactive space to ask questions, share your looks, get style help, insider scoop on ales, etc. in real-time - you are invited to join our Facebook group. This is a space all about celebrating motherhood, which doesn't mean loosing yourself. 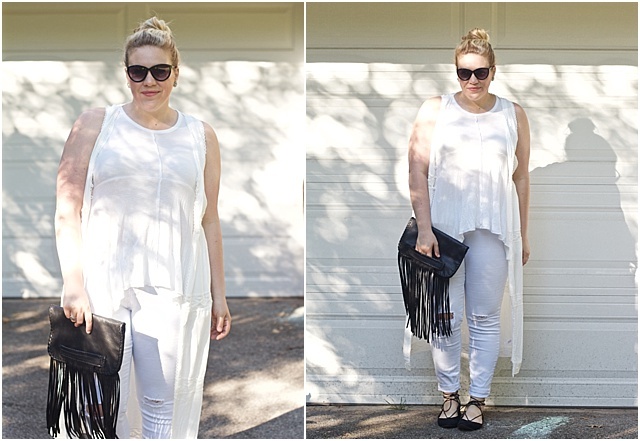 You can see past post Mama Style posts from this series right here! 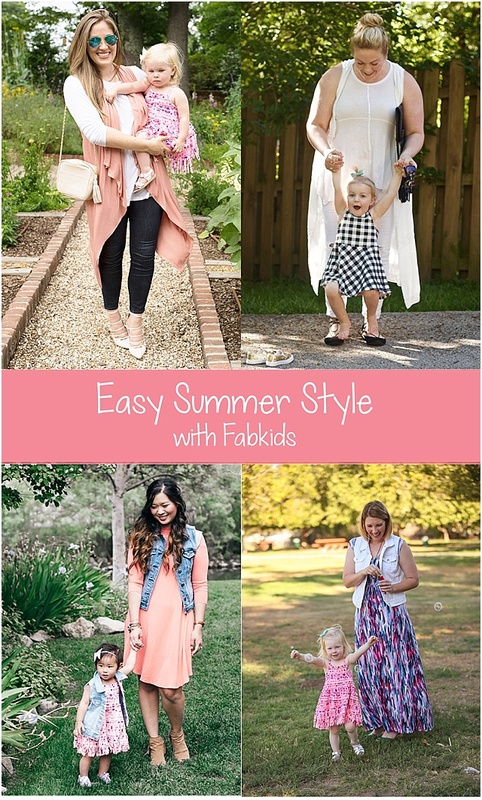 Thanks to FabKids for sponsoring this post and this month's Mamas & Minis Style Collective series!